Today i had to pop to the bank and while i was in town i decided to drop into superdrug to pick up MUA's 'Undressed' palette. While i was there i wanted to check if they had any of the Nail Constellations as recently every time i have looked they have been out of stock! I'm really after Leo and Gemini however as expected, none in stock! For once though, they did have a very limited stock of both Libra and Pisces, and so obviously i couldn't resist picking one up to give it a try! In the end, i picked Libra, which only cost me £2.50! This is a real bargain when you consider similar products such as Ciate's Nail Caviar, although beautiful, retail at £18 each! Also, while i'm on the subject of MUA, superdrug currently have some offers on which you can save yourself £1 with the 'undressed' palette as well as 50p off their new Pro Brow Kit, just thought i'd share that for those who want to pick those up soon! First off, i painted my nails using MUA's new 'Bright Pink' shade (£1). I own quite a few MUA nail polishes now and i genuinely love them, particularly the newer ones, they are so glossy and dry really quickly and for the price i don't think i could ask for more from them! 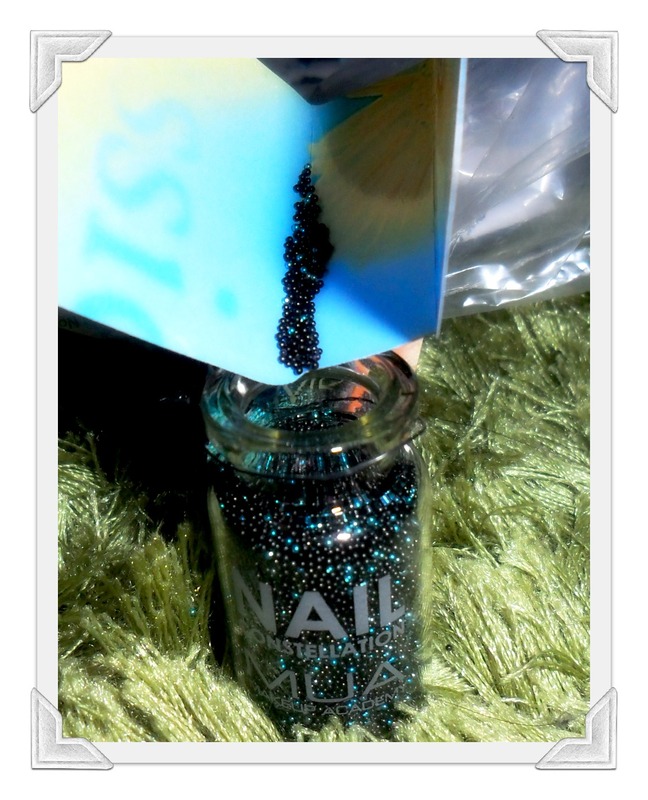 Then, when painting my second coat of polish i simply sprinkled the Nail Constellations on using the funnel on the bottle while the polish was still wet! On parts of my nails which i though didn't have enough beads i just rolled my nail in the excess fall out from when i had been sprinkling them. I really recommend putting down paper or a sheet to catch the fall out otherwise you will be cleaning up constellation beads for the next week! It also allows you to save the beads by folding the paper and sliding the dropped beads back into the bottle. Personally, i really love the look and will most definitely be purchasing Gemini when i can find it in stock (if ever!!!). I am keen to see how these wear so i will give you all an update when i have had them on longer than half an hour! Have you been trying out any of MUA's Nail Constellations? How have you found them? I dont have any MUA nail polish yet but im considering buying one soon. I love the nail contellations! SO PERF! Thank-you! I wasn't sure about the Constellations to begin with but i'm considering trying out some other ones! Aw thanks for following, i'm heading over to your blog now!